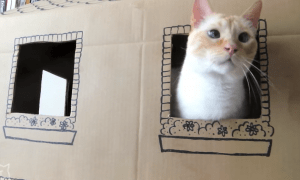 These Cat Cupcakes Are (Almost) Too Cute to Eat! If you’ve got a birthday coming up, a party to attend, or just a good ol’ sweet tooth – you’ve got a valid reason to make cupcakes! 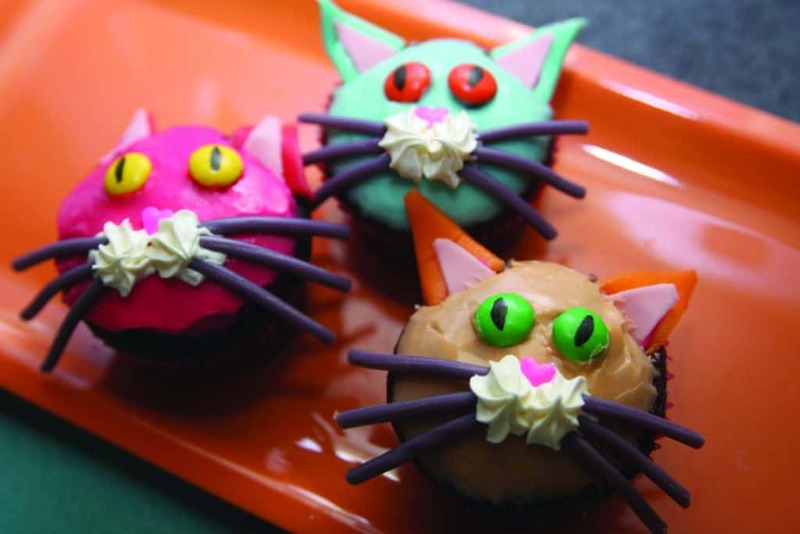 If you’re a cat lover, try your hand at these super cute kitty cat cupcakes that are (almost) too cute to eat! We’re focusing this guide on how to decorate your cute kitty cupcakes, so you can make any cupcakes you want! Start with your grandmother’s homemade from scratch chocolate cake recipe or go with your favorite easy-peasy box mix. Just be sure to choose something that will pair well with the sugary sweet glaze icing in our next step. While your cupcakes are baking and cooling, you can make your glaze. 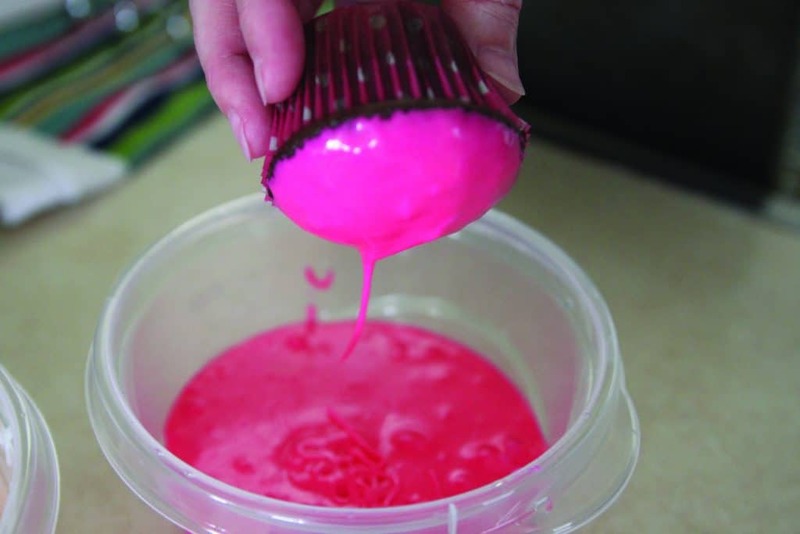 This glaze icing couldn’t be easier to make, and it’s perfect for decorated cupcakes. It’s also super simple and less messy to apply than traditional frosting – and tastes great, too! Whisk together all the ingredients except your milk and food coloring in a small bowl. Then add the milk, one tablespoon at a time until you get the desired thickness. It should be thick, but still runny. Then, you’ll need to mix food coloring to match the color of your taffy candy, which will serve as your cat’s ears. 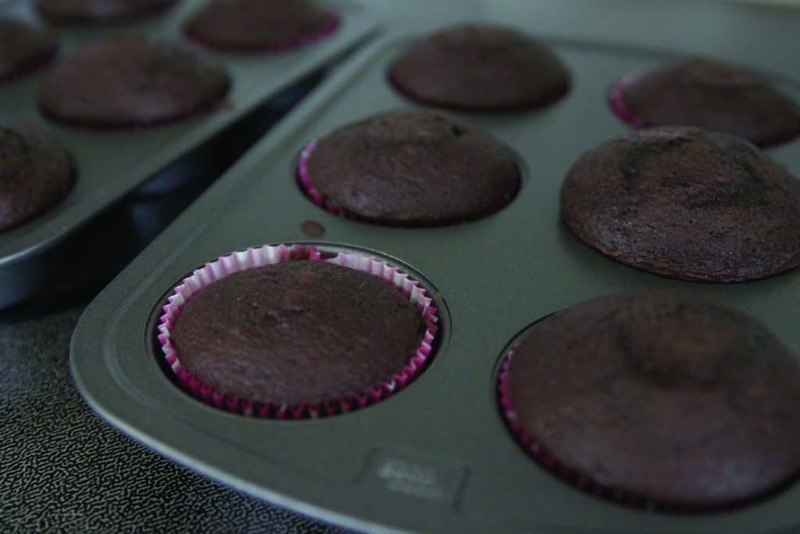 Once your cupcakes are completely cooled, dip them in your glaze and let any excess icing drip back into your bowl before you turn them back over. Allow them to set for a minute, but not dry completely. Now they’re ready to decorate! Step 3: Turn Your Cupcakes into Catcakes! First, you’ll need to create the “ears” for your cat cupcakes. Do this by cutting the taffy candy into triangles. Then cut your chewing gum into smaller triangles. 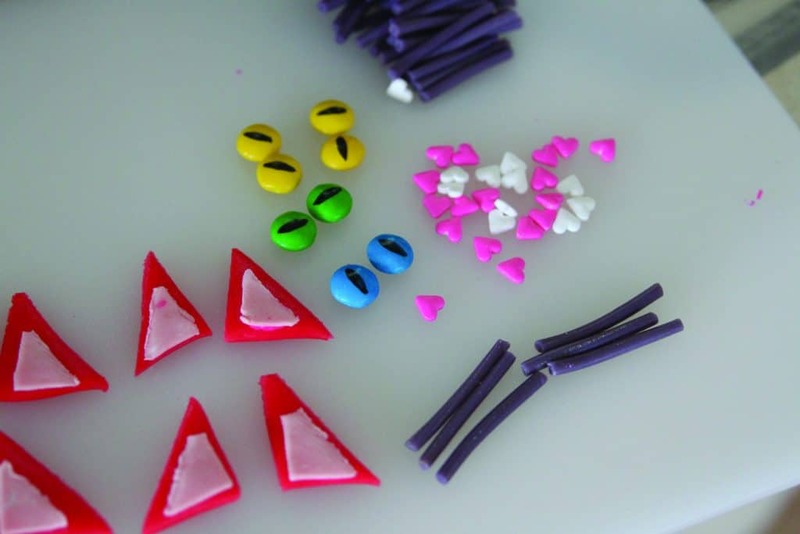 Use just a dab of your leftover glaze icing like glue to stick the gum triangles to the taffy triangles, as shown in the photo. Use your black food coloring pen to draw pupils on the M&M candies to make your cat’s eyes. Fill a piping bag with white frosting. 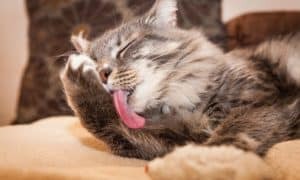 You’ll use this to create your cat’s whisker pads. Then trim some licorice string into small pieces to serve as your cat’s whiskers. Push the taffy ears into the back of your cupcake. Press your two M&M cat eyes gently onto the top half of your cupcake. Carefully pipe two white frosting “whisker pads” below the eyes and then poke three licorice string whiskers into each side. Finish with a heart-shaped sprinkle for the nose. Congratulations! 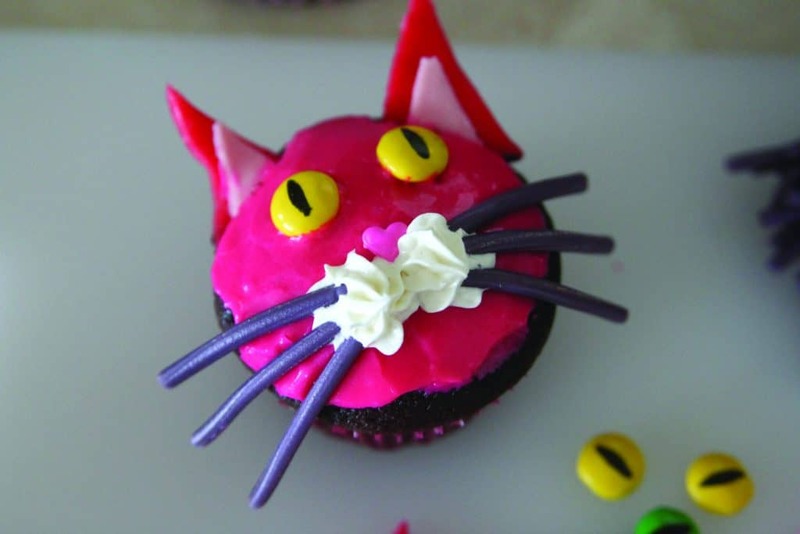 You’ve just made super cute, entirely edible kitty cat cupcakes. Enjoy!